CAMDEN, Maine ― The month everyone loves to hate is nearly upon us. March: winter’s last battle cry. It’s just as cold and, somehow, more gray than other winter months. It’s a month that gets Mainers actually looking forward to the thaw of mud season. 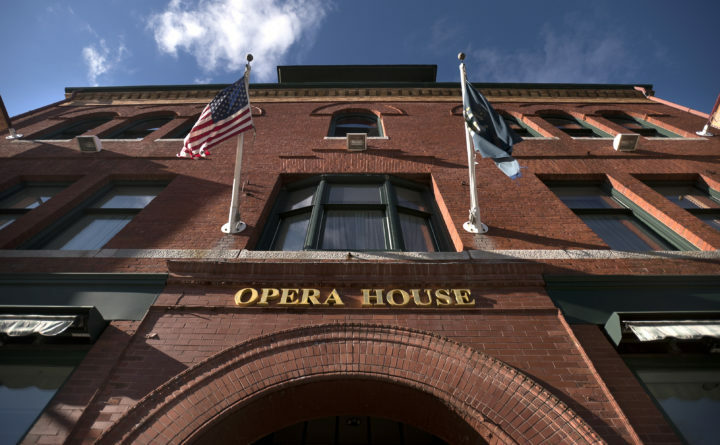 But the organizers behind the Camden International Film Festival thought the arrival of March would be the perfect opportunity to get folks out of their homes and into the Camden Opera House for a “micro film fest” showcasing nonfiction filmmakers. “There is no place warmer than a theater with a couple hundred people inside collectively watching a dark screen,” said Ben Fowlie, founder of the Camden Film Festival. The two-day festival, Cabin Fever, kicks off Friday night in Camden and will continue through Saturday night, featuring four full-length documentary films and one short film series, Dirigo Docs, that showcases Maine-focused films. The Camden International Film Festival, a program of the Camden-based Points North Institute, has been a staple in the midcoast arts scene for 15 years. The festival showcases about 100 nonfiction films at theaters in Camden, Rockport and Rockland each September, drawing about 10,000 attendees, according to Fowlie. Adding a smaller festival in the winter has been a goal of the Points North Institute for the past few years, Fowlie said. The institute puts on a monthly program called “CIFF Selects,” that shows past festivals’ films at theaters in Rockland and Camden. Fowlie said that program has made it possible to ascertain a year-round interest for the nonfiction storytelling format. Cabin Fever is the newest addition that the Points North Institute is offering to expand its year-round presence in Maine. For the last several years, the institute has also been offering documentary programming based around issues that Maine as a state is grappling with, such as aging and the environment. Most recently, this has taken shape in a touring program called “Recovery in Maine,” which has screened the documentaries “Recovery Boys” and “Heroin(e)” in about 20 towns and cities across the state. The screenings are followed by a discussion with the intent of having the documentary spark a community conversation. “The recovery program, and Cabin Fever and CIFF Selects, those [programs] are our response to the overwhelming interest and desire to use story to build community,” Fowlie said. It’s a combination of factors that Fowlie believes is renewing widespread interest in documentary films and nonfiction storytelling. From the popularity of reality television, to streaming services like Netflix, Hulu and Amazon “having a robust catalogue of nonfiction films to choose from,” Fowlie said this type of storytelling taps into the human experience. “People are longing for stories that really hit them at their core, at their heart,” he said.